Although Q started as a response to the overt (and subtle) prejudice, judgment & exclusion found within Christianity toward our LGBTQ brothers and sisters, is has evolved. We still think its important to be open and vocal in our culture about the opression that still exists within many faith communities about those 5 heavily debated scriptures (while hundreds on helping the poor, or on love are ignored) but we have also found that our gay friends & family are spiritual seekers like us, so advocacy isn’t our focus. Once we can all gather on equal ground we’ve found there’s LOTS more to talk about when it comes to seeking The Source. Q is open to anyone that is seeking spiritual answers, a place to be real and deeper meaning in their life. Most people eventually discover that there has to be more to life than working to get stuff, and fulfilling their own desires, but sadly when they go searching typical church doesn’t seem like any better of an option. At Q Faith Community we seek to find something far Greater than just a place to gather on Sundays. We attempt, and stumble, toward our true Source, The Way & The Life, and our truest selves. We also hope to help others by investing our gifts and care, as we try to make our worlds around us better by joining this movement to challenge the Oppression and Judgement that keep many from seeking this path. We dream big, and although the journey is bumpy, we seem to have a lot of fun along the way. Q has been on a journey, just like it’s members. It started as a response. A response to the existing Christian attitude toward the LGBT community (Lesbian, Gay, Bisexual, Transgender), the “we don’t talk about it publicly” attitude even in Calgary’s most missional and welcoming churches and a response in particular to one teacher’s one hour lecture to students at a Christian school about how “gay people are worse than pathological liars, because at least pathological liars can stop lying”. The teacher was one of Jennifer’s children’s teachers, and she watched her sixteen year old lose faith in Christianity because she was one of the only brave students in class to stand up to the teacher while the others sat back and agreed. In addition to watching a loved one lose faith, Jennifer couldn’t sleep at night wondering about the possible (and likely) gay children in that class that may have believed the teacher too. There are many suicides within the LGBT community, and many are people who once knew and loved God, but felt that God wouldn’t be accepting of them if they came out. Jennifer went to the school, several churches that she knew in the city, and Christian friends, but no one was willing to speak publicly about it. Even when the leading political party had a leader’s blog post (who was also a former pastor) about how gay people would “burn in a lake of fire”, still no pastor in Calgary would comment. She eventually rented a hall and hosted a talk herself. After that she felt a strong call to become a pastor, creating a safe space for anyone and everyone to explore faith. Two people joined her and her husband in their living room and Q evolved from there. These are people we consider friends because we believe in their call and mission, and find they have a similar heart to their values. Some of them we support financially because we desire to be a generous people, doing good, and not only being concerned with ourselves or our mission. Some support us financially (and spiritually and emotionally) because we need help too. We are thankful to these groups for their inspiration, and their connection to Q. We couldn’t be where we are today without them. Love Without Agenda is an organization that has done a lot of good, in terms of their message, and practically. For example, they’ve found a way to multiply gifts. In 2012 they turned $20,000 USD in donations into $1.25 Million USD in food donations to people in need throughout the city of Chicago. They also have a coat program, a place to offer hospitality called The Shema House, they offer speaking to churches to help encourage them on this new mission of Loving Without An Agenda and they have a book. They have also been huge supporters of Q, and they are part of the reason we have this website. To support LWA click here. We know a lot of organizations need help, but we are certain that at LWA even $5 makes a real difference. This is our denomination. Although our initial attempt was to be denomination free because we don’t really believe in arguing about who has the most ‘right’ view of the Bible, it turned out that it was next to impossible to do this mission without help. And we’re so thankful it turned out that way. The DOC has been like no other denomination we’ve experienced. There is freedom to understand scripture together, and to have an opinion without needing to agree. There is also a deep value to unity and being in this together rather than simply trying to be right. There are some churches with openly gay pastors (WOW), and there are other straight pastors that are willing to speak out against oppression. This video by Rev. Dr. Phil Snider has almost 4 MILLION views. We’ve been so blessed to have the DOC of Canada open its doors to us and support Q. 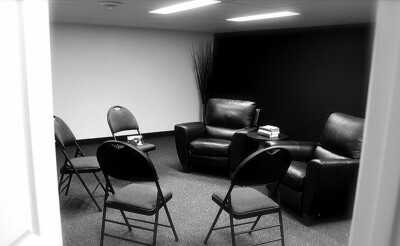 Our affiliated church in Calgary is Cambpell Stone United. For more information on our denomination, or to give to the work they are doing to help new movements like ours, click here. AA is an inspirational movement. 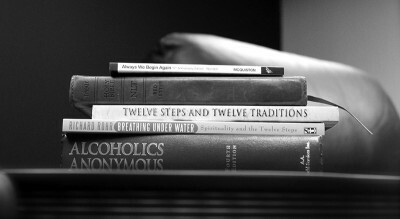 Not only have 165 different kinds of groups adopted their 12 Steps to recovery, but they have over two million members of AA alone, over 114,000 groups that gather and the Big Book has been translated into 61 languages as of 2011. It still costs nothing for AA membership, and they do not accept outside donations but are fully self-supporting through their own contributions. Although society would typically look down on the alcoholic, we are touched & in awe of their impact as they allow their Higher Power to lead them. Al-Anon too, as a sister to AA, is equally inspirational.